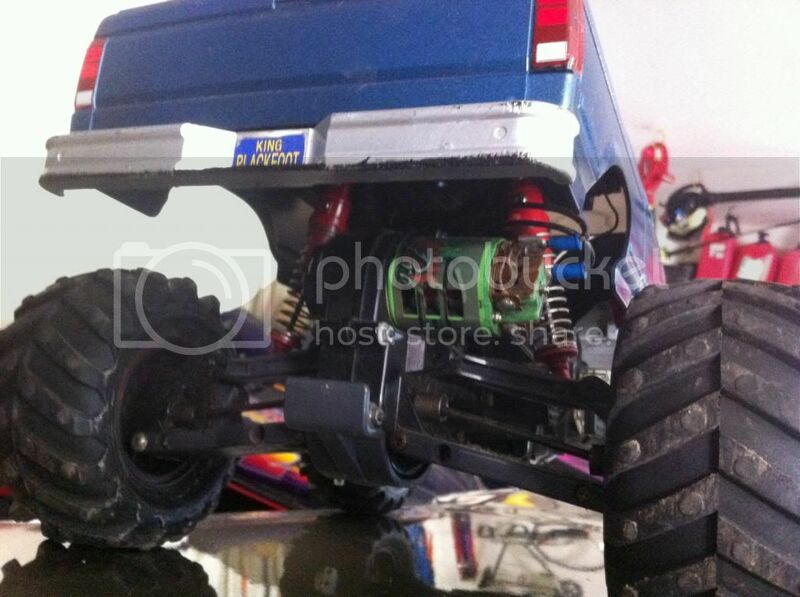 Custom built Tamiya King Blackfoot RC monster truck. I built this winter '99-'00 and installed a Green Machine 3 Pro race engine a few years later. 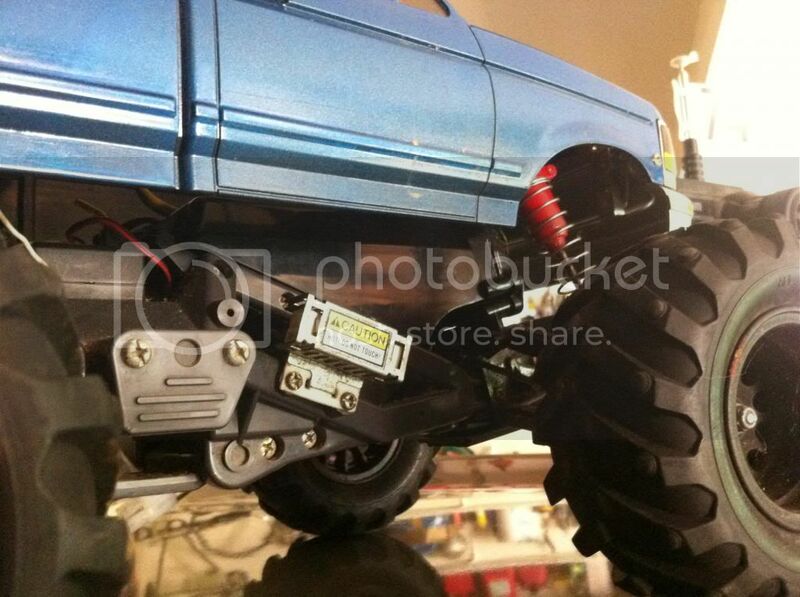 Unlike the new Ready To Run rc's of today, this is one of the type of trucks that you had to build. 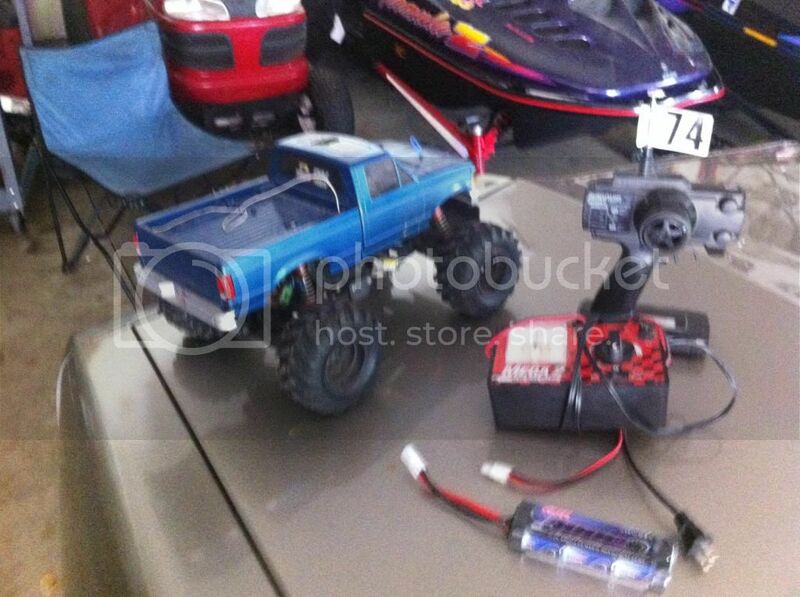 When new, I assembled gear box, suspension, steering, frame body, electronics, etc. 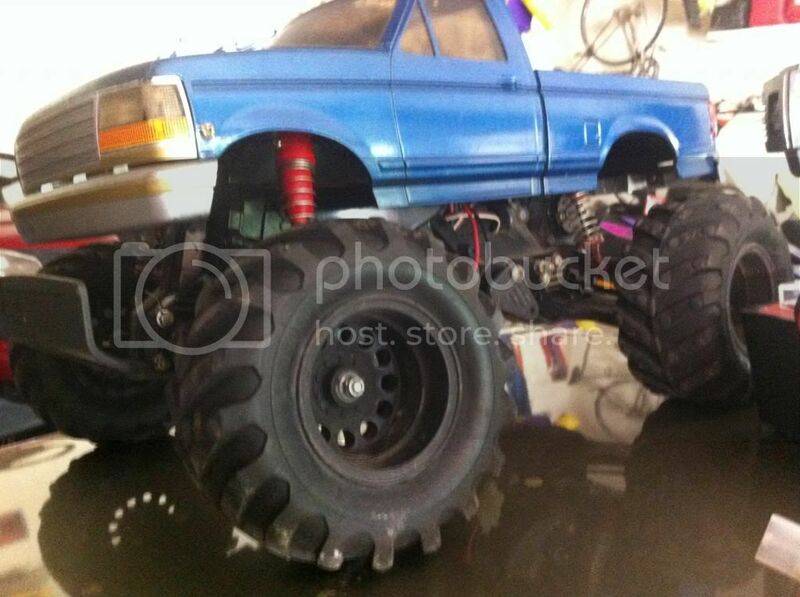 Roll bar removed, body painted blue and wheels painted flat black about 10 years ago. I'm including a charger and controller.